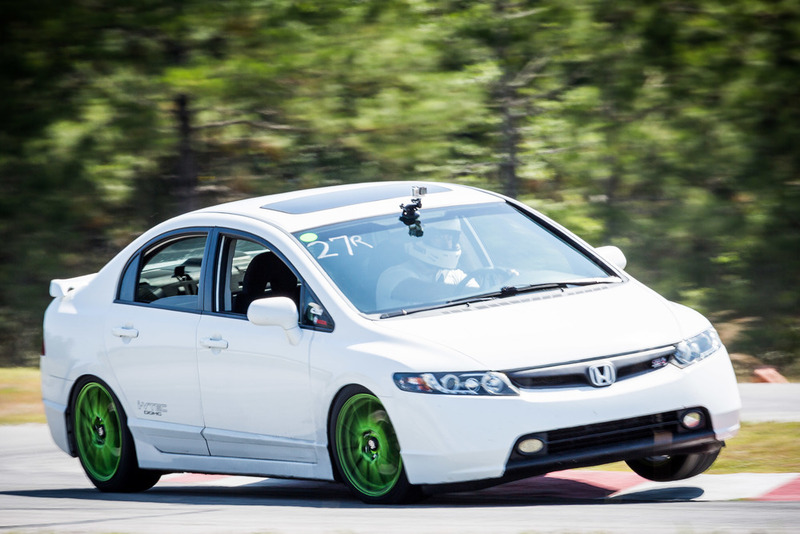 This 2008 Honda Civic SI is a perfect example of an practical, economical 4 door car that you can also have fun with at the track. The Skunk2 race header eliminates the catalytic converter which bumps the car into DSP. However with a weld or bolt on cat it will drop back to STX. 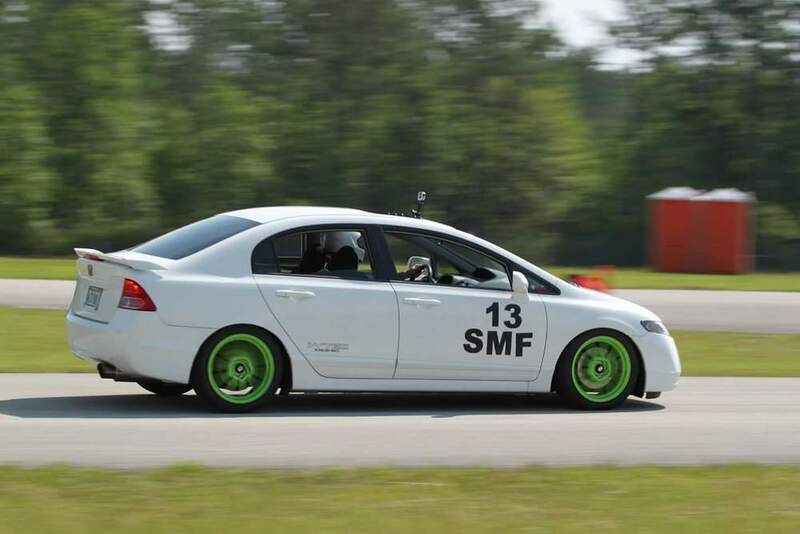 I choose to not cut into the exhaust and run in SMF as I take the rear interior out on autocross days and have similar competition in that class. This is truly a grassroots build. Top notch build quality and a big performance increase from this 95 Integra!